Even though I've read the first few chapters of 1 Nephi many times, I've still been taught a few new lessons. This one is about different approaches to the messenger and message of God. Lehi's (by name known) family consists in this part of the narrative, of Lehi and his wife Sariah and his sons Laman, Lemuel, Sam and Nephi. Lehi seems to believe the words of the prophets, for he prays for and in behalf of the wicked people. I would guess that he's been aware of the wickedness of his people, and he might have waited for God's warning to be proclaimed. It's hard to show from the text that Lehi was seeking for more knowledge than what he had received from the prophets. Still, the Lord showed him great things. The power of the intercessory prayer can't be underestimated, nor can the power of believing the words of God's real prophets. Lehi's approach is that of belief in the words of others. A seemingly functional way to approach the word of God. Laman and Lemuel disbelieves in the words of the prophets, they are stiffnecked and hardhearted, they call Lehi foolish and they murmur (because they knew not God). This is the opposite approach, the one of dis- and unbelief. Despite this, they left Jerusalem (and returned twice without staying there). The text doesn't fully describe Nephi's intents and what he said in his cry unto the Lord, but it seems that he didn't go to the Lord for confirmation that his father spoke the truth. Instead, he went to the Lord to learn of His mysteries for himself. In my mind, there's a big difference in this. 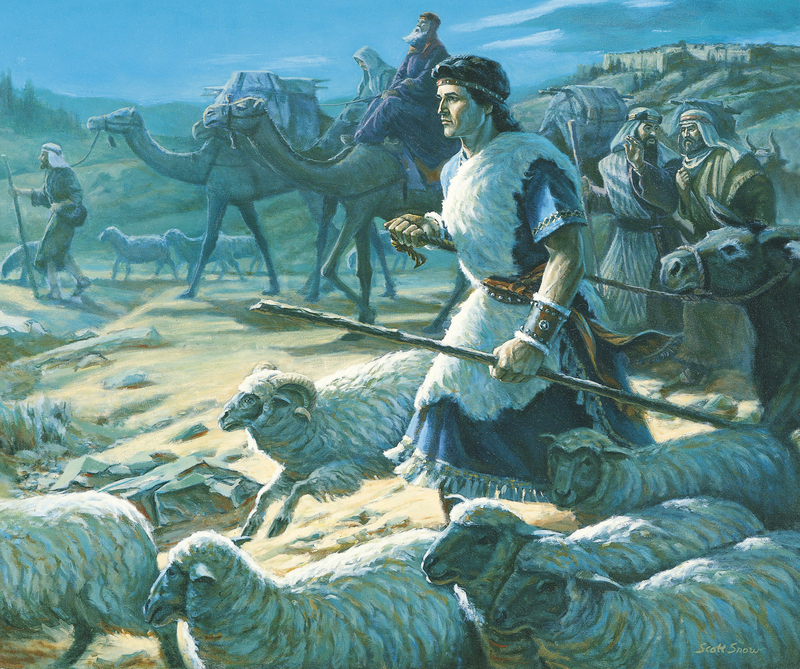 Instead of just "feeling good" about the direction his father was leading the family, Nephi gained great knowledge and got his own promises from the Lord. Nephi seeks a first-hand experience! Sariah must have had a hard time leaving Jerusalem and then letting her sons go back to get the plates. It seems that she fully believed once she'd seen physical evidence of the Lord's hand in preserving her sons. Still, she must've had some kind of desire to believe, for she went with her husband into the wilderness. We choose how to approach the words of God. Either we believe the words of others, we disbelieve, we believe after getting "proof", or we seek our own knowledge of the mysteries of God. Let's choose wisely.